Alternatively: Sonic Paradox got its old channel back, and uploaded a fun little Eggman animation to celebrate! Watch it below! Around a year and a half ago, longtime Sonic fan animation community Sonic Paradox had its collective YouTube channel hacked into and stolen. Hopes of reclaiming their old network would fade with Google technical support not being of any help, and a backup channel was made from that point on. 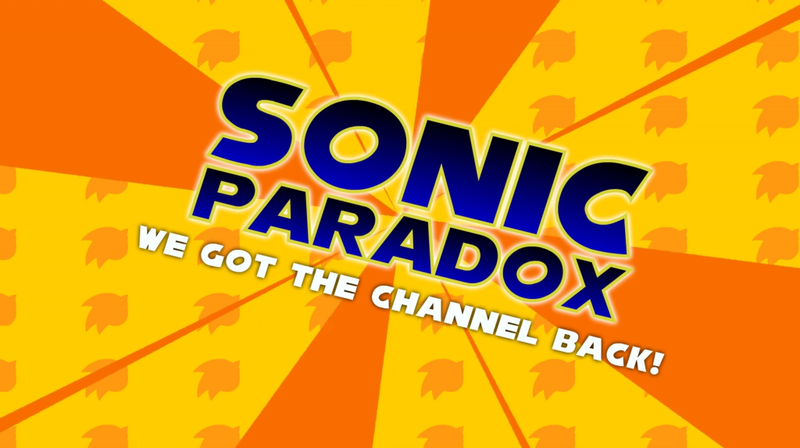 Thanks to their YouTube partner over the course of the past few months, however everything is now right as rain again: Sonic Paradox has its old channel back! Well, almost. Rotund evil genius Doctor Eggman just took control of the recently reclaimed Sonic Paradox channel while the staff busied themselves with undoing the damage caused by the original hacker; with their attention focused elsewhere, Robotnik announced his plans to overthrow the Sonic Paradox “dictatorship” and start a new series of Robotnik Shorts. His plan goes about as well as you’d expect, but don’t take my word for it: give it a watch below and see for yourself! As for what will happen to the videos on Sonic Paradox’s backup YouTube channel, widescreen HD remasters of the original Sonic Shorts Volumes (plus the Knuckles Briefs! ), they will be reuploaded onto their reclaimed channel in due time. The backup account, in the future, will instead cater more to livestreaming. Be sure to subscribe to the returned Sonic Paradox YouTube channel for hilarious Sonic shorts and more in the future! …Ok, maybe not. Is April Fools over yet? Head over to Newgrounds to watch…Sonic Shorts Volume 6? Seriously not safe for work. Also, miiight want to turn your speakers down. You have been warned. Thanks to Animegirl for the heads up! Watch Sonic Paradox: Knuckles Briefs on the Sonic Show! The guys over at Sonic Paradox are really pulling out all the stops at the moment to bring us a Summer of Sonic special set of Sonic Briefs: Knuckles Shorts! Feast your eyes on yet another side-splitting host of hillarious flash animations over at the Sonic Show! #33 Sonic Paradox Presents: Knuckles Briefs! The Sonic Show is PREMIERING Knuckles Briefs? Great… but what on earth is that?! Knuckles Briefs is a collab created by all of you’re favourite (or more likely, hated) Sonic characters. Knuckles is fed up of the attention brought to Sonic through the acclaimed series, ‘Sonic Shorts’ and has decided to have his own collection of “briefs”. But seriously, what the hell is it? Knuckles Briefs is collection of hilarious shorts by the Sonic Paradox team. Sonic Paradox are known for many things in the community, most notable being the Sonic Shorts and Sonic Tribute collections. This flash was created for the Summer Of Sonic event, however unfortunately never made it’s appearence on the day. But fret not as we can finally share it with you here! I should hope so, Sonic Paradox has been around since 2006, though the first collaboration was the “Tribute Collab 1″ back in 2005. Their forum was created by Lilmario and The Wax created the main site. The first project was started by Sweet_Kat22 from Newgrounds. She, however, has moved on from Sonic Paradox. When Sweet_Kat22 dropped down from being leader, HyperactiveYouth (known for Sonic: Uncut 1, 2 and 3) stepped in, becoming the 2nd leader in charge of Sonic Tribute Collab 2. However, due to development hell, HyperactiveYouth stepped down as well and their longest in service member, Bit-Master, became the 3rd leader. Due to slow progress, he stepped down from being leader to co-leader with their current leader, The Wax (known for Full Metal Sonic, Sonic Halo, and Sonic: Dark Chaos, and a variety of shorts). 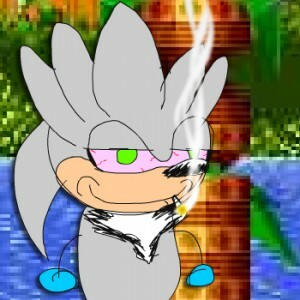 The Wax is the creator of the Sonic Short Volumes you all know and love. TSS is bringing back community interviews (omg more exclusive content)! Aside from speaking with specific individuals, I’ll be talking to the heads of Sonic communities that you may not of heard of in “Know Your Sonic Sites.” Today’s featured community is Sonic Paradox, a Sonic site that specializes in Sonic flash animation. I’ll be interviewing one of its staff members, RGXSuperSonic. Yeah, he’s my flash man for Nexus. I’m playing it safe for the first one and, plus, I never heard of Paradox until he joined the team. Time to feed my curiosity!